Switch your venue to Freshtix and start selling immediately- you can earn rebates on each ticket sold. Our platform is easier to use than Eventbrite and hasn't been hacked like Ticketfly. And, unlike other ticketing platforms, Freshtix offers top-notch customer service and marketing support for everyone. We don't offer different paid tiers with different levels of support. A single person can manage an entire venue's events and market them on our platform. Box Office Managers love us. Lowest fees without sacrificing ease-of-use. It is simple to create, copy, and begin selling tickets to your events. Depth of reporting and actionable analytics. Your reports are easily shareable with outside promoters, booking agents, and managers. Brandable venue page with an event calendar. Check out how we've worked with The Earl in Atlanta, GA. Varied ticket distribution options. Freshtix is happy to offer Boca thermal tickets, paper Thermal tickets, mobile delivery, and email delivery of tickets. 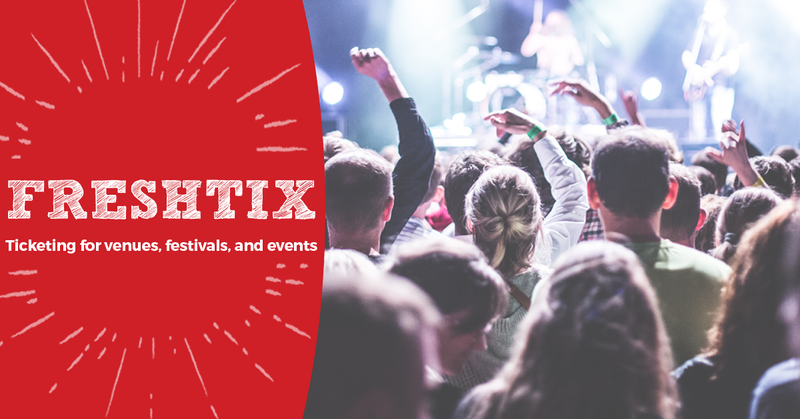 Built-in event marketing to websites like BandsInTown, JamBase, Songkick and many other event calendars. Ready to Start Venue Ticketing with Freshtix? Interested in learning more about Freshtix? Check out the Freshtix Blog for our latest news and updates!